Hinkley Point C is currently one of the largest infrastructure projects in the UK, but what does this mean for construction jobs throughout the South West region? It’s largely a very positive outlook. 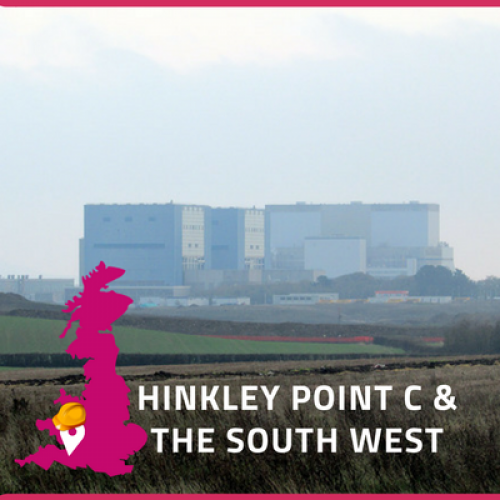 Hinkley Point C has been long awaited and eagerly anticipated; the first UK nuclear power plant for a generation. The project that’s predicted to roughly cost around £18 billion and take approximately 10 years to construct is big news for the South West and for the region’s construction professionals. The scheme’s been a long time coming, but for the South West economy and the prosperity of the job market throughout the region; it’s more than just another infrastructure project – it’s a huge area of growth for the construction industry and it’s firing up professionals and businesses across the region. Across the lifespan of Hinkley Point C, it’s predicted that 25,000 job opportunities will be created, a third of which will be filled by construction professionals throughout the South West, with EDF looking to push regional prosperity. Additionally, once the 10 year construction period is complete, the project will require another 900 operatives; the job impacts are long-lasting. The construction industry throughout the South West is benefited by these employment requirements as local companies are actively involved in the project, with local companies winning major contracts. Of course, one of the main reasons that the South West construction sector is experiencing the positivity of the project is down to the boost in employment levels. However it’s also worth noting that these jobs have great prospects. It’s recently reported to be the project with the highest salary opportunities throughout the UK, and will boast ‘hotel-style’ on-site modular accommodation, predicted to set a new standard for site facilities. Not only are construction jobs booming in the South West, but they are also providing promising benefits too. Hinkley Point C is the largest infrastructure project of its kind, but with a whole host of various other large scale projects underway throughout the region, the South West is in need of construction professionals to fill these roles; so, business confidence throughout the region remains high. The South West is one of the regions across the entirety of the country that is experiencing a forecast of huge growth; double that of the predicted UK average at an annual rate of 3.1% over the next 4 years. Much of this forecast growth can be attributed to Hinkley’s construction and economic contributions. Are There Skills Shortages in the South West? With current skills shortages prevalent throughout the whole of the UK; where does this leave the South West and its need to fill the job roles brought on by Hinkley Point C and the various other large infrastructure projects across the region? With the increased demand for construction professionals to take on roles throughout Hinkley Point C in mind, EDF have constructed a plan to bring training and skills to the forefront. This should also alleviate some of the pressures of the construction skills gap in the future. Hinkley Point C will offer the first commercial degree apprenticeship and will invest £15 million into the training scheme. The aim is to provide local communities with the skills that they need to firstly complete the project, and secondly to take these learnt skills and develop their future construction careers. The training scheme will take on 20 apprentices a year for 5 years of paid placements, working full time, dealing with suppliers on site whilst studying. It's clear to see that the construction of Hinkley Point C is a huge step forward for the future of construction jobs throughout the South West region, boasting a whole host of opportunities. Are you interested in working on the South West’s biggest infrastructure project? Head over to Hinkley Construction Jobs to have a look at the sorts of job opportunities available.